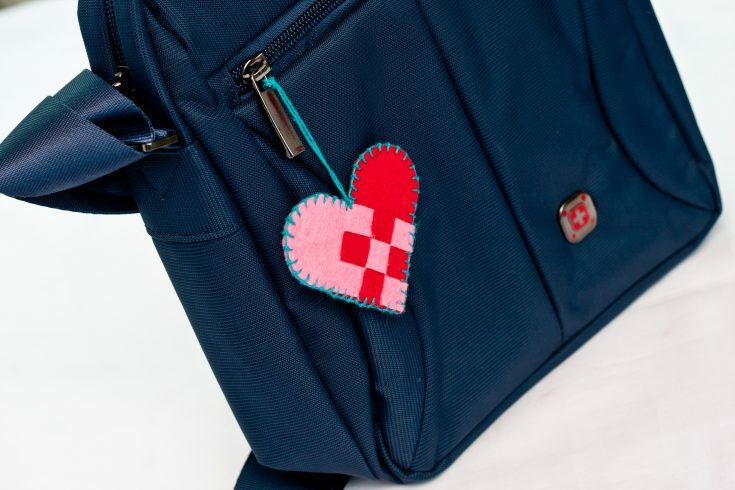 Make your own bag charm for Valentine’s Day or just for fun with this DIY bag charm tutorial. 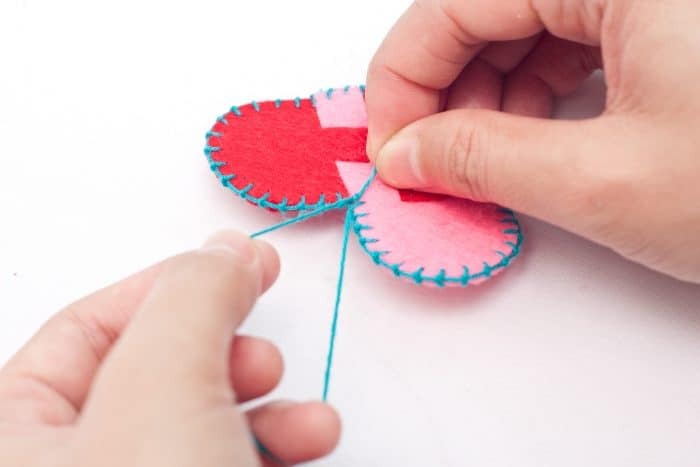 This project also makes a cute DIY keychain if you prefer. 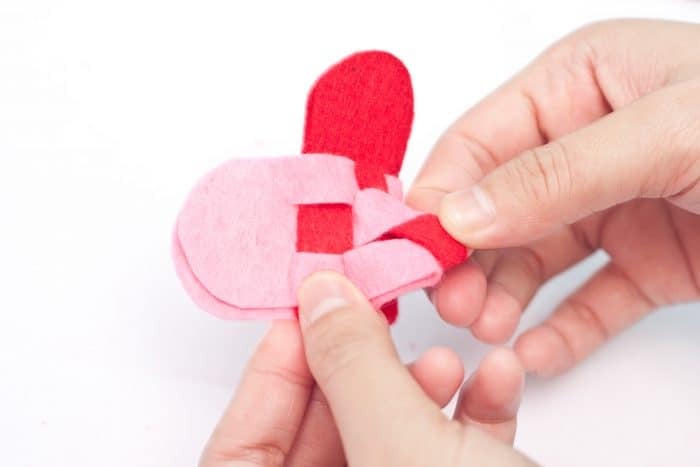 Just attach the finished heart to a key ring instead of directly to a bag. 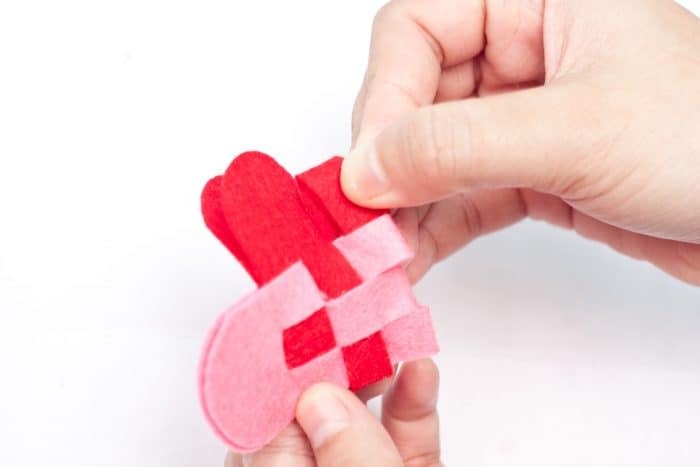 Step 3: Begin weaving by inserting the first red strand under the first pink strand. Loop the second pink strand on top of the first red strand loop. 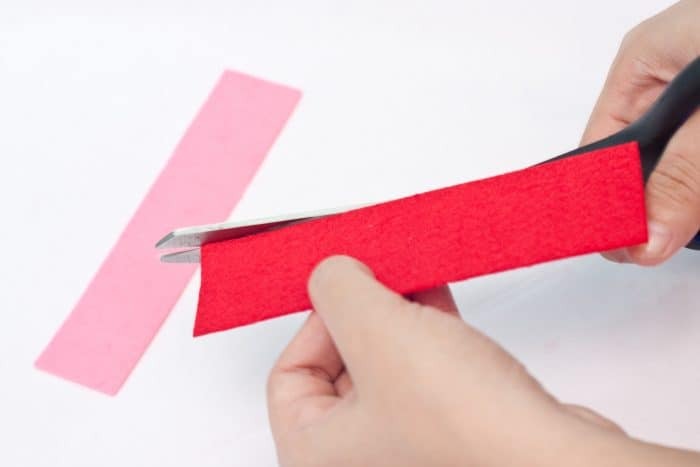 Pull the first red strand and loop this on top of the third pink strand. The colors should alternate in order to be correct. Step 4: To finish off, loop the third red strand on the very end of the first pink strand. 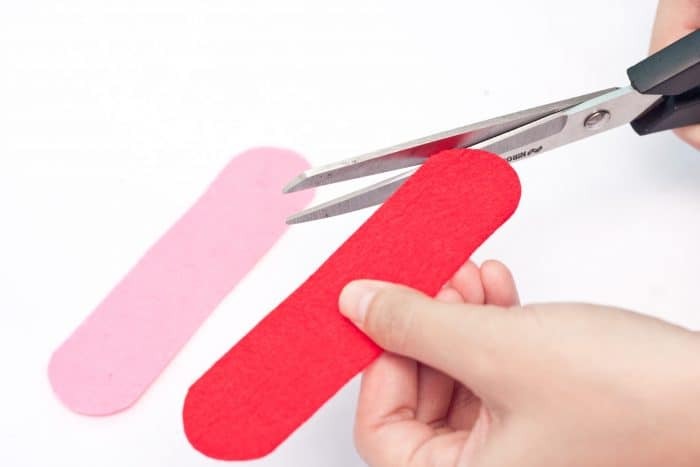 Insert the second pink strand to the very end of the red strand, then loop the very end of the third red strand on the very end of the third pink strand to lock everything in place. 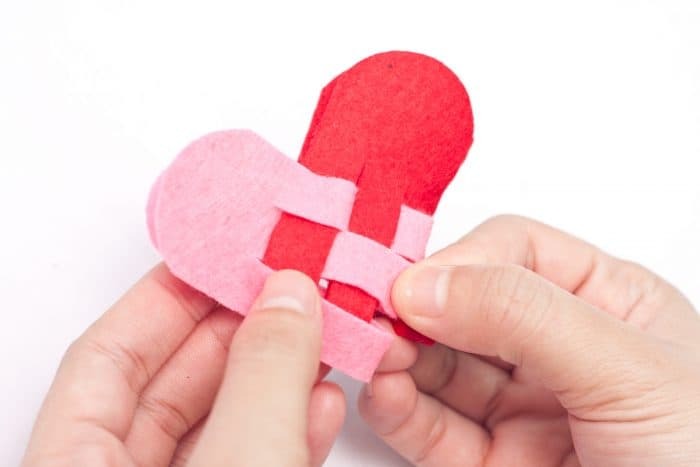 Open the heart to check if everything is okay. The insides should look like this. 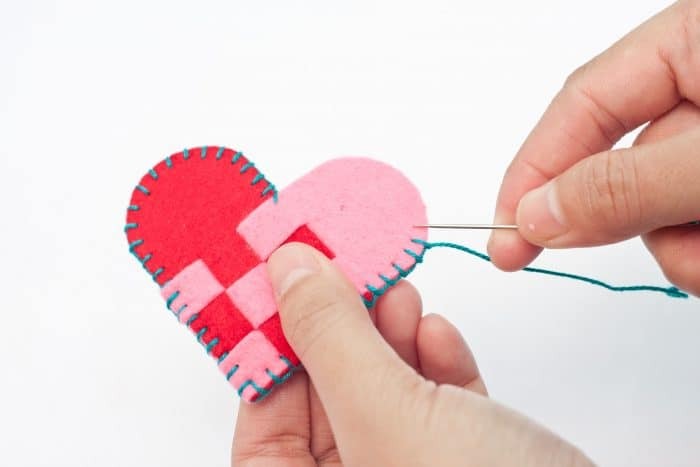 Sew the edge of the heart using a blanket stitch. 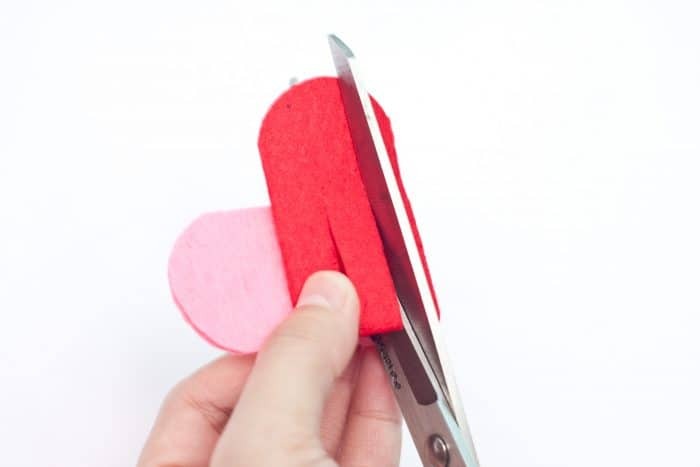 See the video below for a quick blanket stitch tutorial. Finish off the end of the stitch and leave an allowance. This will serve as the loop that will secure the charm to the bag. Attach the heart bag charm to the bag and you’re done! 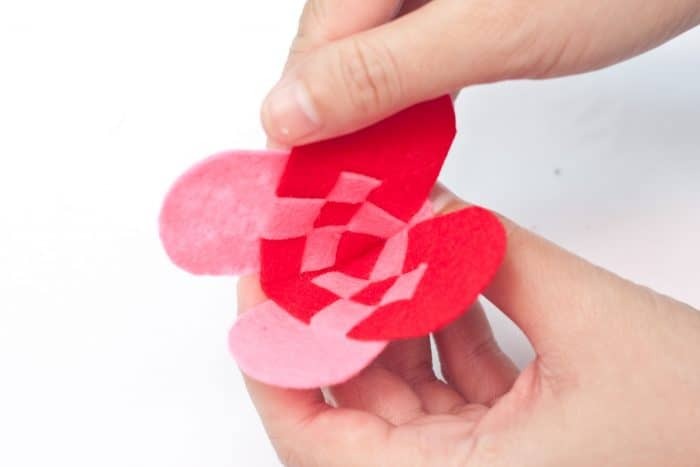 Fold each rectangle and place one on top of the other. Make sure that they are aligned to form a heart. To finish off, loop the third red strand on the very end of the first pink strand. Insert the second pink strand to the very end of the red strand, then loop the very end of the third red strand on the very end of the third pink strand to lock everything in place. This bag charm can also be used as a keychain, should you wish to do that, just place a key ring on it. You can also add some designs on it based on your liking. 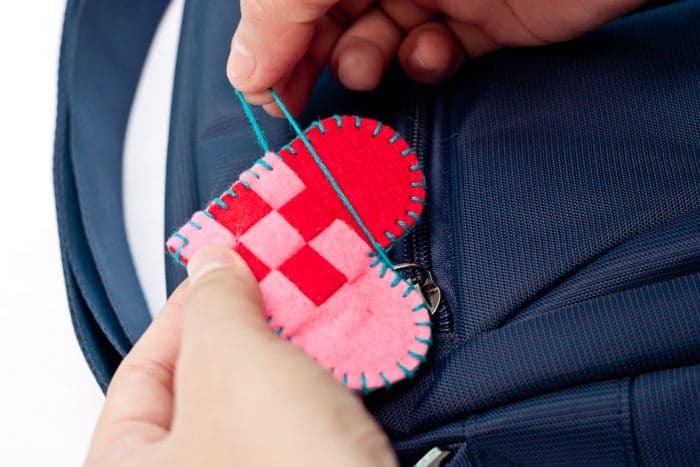 You can make several weaved hearts using different colors, as well so if you had fun making this bag charm make one for your friends too! 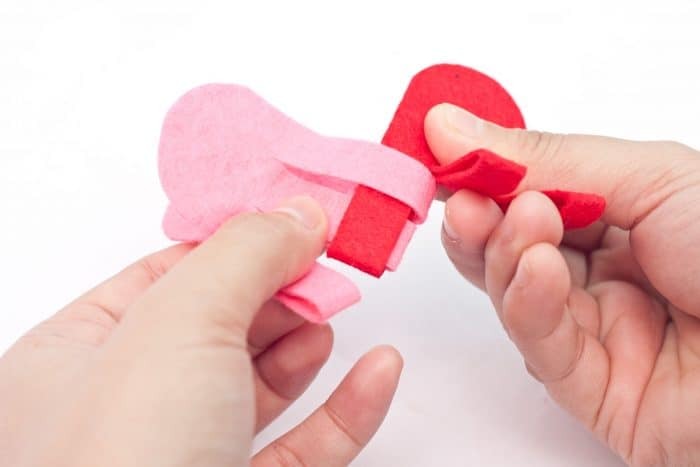 You might also like to make this DIY Tuxedo Heart Card too.